The 18 championship-caliber holes at Awbrey Glen stretch for more than 7,000 yards among picturesque home sites. The natural forested course features expansive views of the Cascades and the High Desert, stunning lava outcroppings, sparkling lakes and grass and sand bunkers. 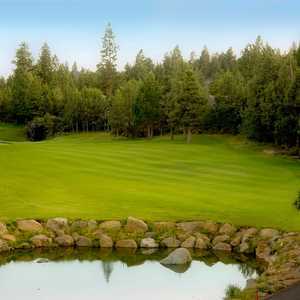 The 18-hole Broken Top Club in Bend, OR is a private golf course that opened in 1993. Designed by Jay Morrish and Tom Weiskopf, Broken Top Club measures 7161 yards from the longest tees and has a slope rating of 142 and a 73. The newest of two luxury high desert golf courses outside Bend, the Fazio Course at Pronghorn features bold shaping and a signature par-3 shot between cavernous lava tubes. Perfect Central Oregon rolling terrain fashioned into beautiful golf holes by designer Brian Whitcomb. With 7000 yards of breathtaking views and challenging golf shots Lost Tracks Golf Club defines the word golf. The first of two new high desert golf courses in the central Oregon town of Bend, The Nicklaus Course at Pronghorn opened in 2004 and now offers some limited public play. 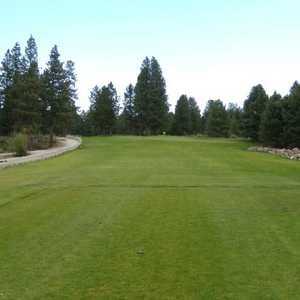 The 9-hole Old Back Nine in Bend, OR is a public golf course that opened in 2009. Old Back Nine measures 2952 yards from the longest tees and has a slope rating of 125 and a 68.4 USGA rating. The course features 3 sets of tees for different skill levels. Designed by Robert Muir Graves, this par 72, 18-hole course featured in Golf Digest's "Best Places to Pay". You'll find breathtaking scenery throughout the course including the majestic Deschutes River, a waterfall on hole #6 and spectacular views of Mt. One of the Bend area's newest courses, Tetherow Golf Club is a bold and dramatic high desert course designed by Scottish architect David McLay Kidd. 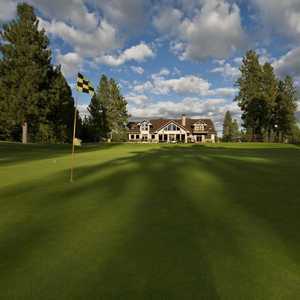 At Widgi Creek Golf Club, you'll discover the most comprehensive golf, sports and fitness environment in the Northwest. Start with a full eighteen holes of championship golf that meander beneath huge pines along the rim of the dramatic Deschutes River Canyon.